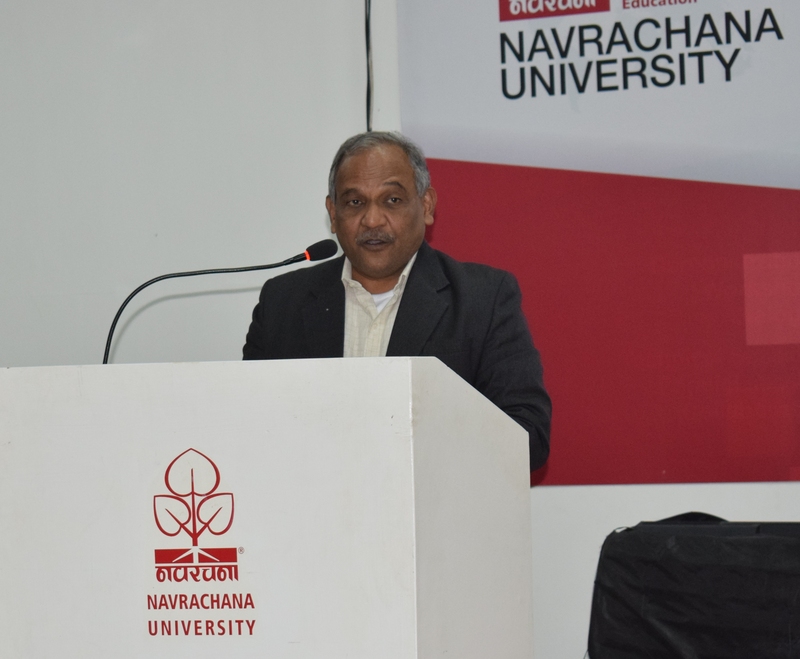 Navrachana University launched Reinventing Engineering Education, a new teaching-learning experience to offer comprehensive education and employability. The new engineering education is designed to create market ready graduates who can think, innovate and address new challenges in engineering practice. The IBM training will add much to the education being provided at the University. Integral to IBM training, a Course on Internet of Things(IoT), IBM iCAT3 is launched for the engineering students. Suresh Bulusu, SPOC, IBM Bangalore, inaugurated and spoke to students about the benefits about the course and how it shall help them academically as well as in their professional career. The proposed program is designed to mitigate technology gap between industry and academics. It will also help to increase the opportunities of employment for our students.